Starting my career working in the produce business at the age of 14 on the side of the road huckstering off of a small truck in the summer, learning my retail math skills where everything was written down on a paper bag which doubled as the customer’s receipt. Turning that into a “real job” in a small retail produce and fish store in the suburbs outside Philadelphia where at the age of 15 I learned how to trim the heads of ice burg lettuce, and the “how to make the product look it’s best for the customer” and by 16 years of age mastering the art of using a knife to filet fresh fish brought up from the distribution market to the store for it’s showcase. Of course that was when you could use sharp knives at that age. While working 45 hours a week throughout high school I learned that I had a love and passion for food and admired watching how the worker’s at “my job” left an impression on their customer’s. After high school graduation I spent three months backpacking across Europe and found that people there had an amazing appetite for quality and Artisan foods. That was exciting to me so when I returned I opened a produce and seafood business in a local farmer’s market where there seemed to be a lot of “farm to fork” businesses that customers gravitated towards. That opportunity eventually turned into opening another Farmer’s Market, a high end retail Seafood Store and a Gourmet Food Market. 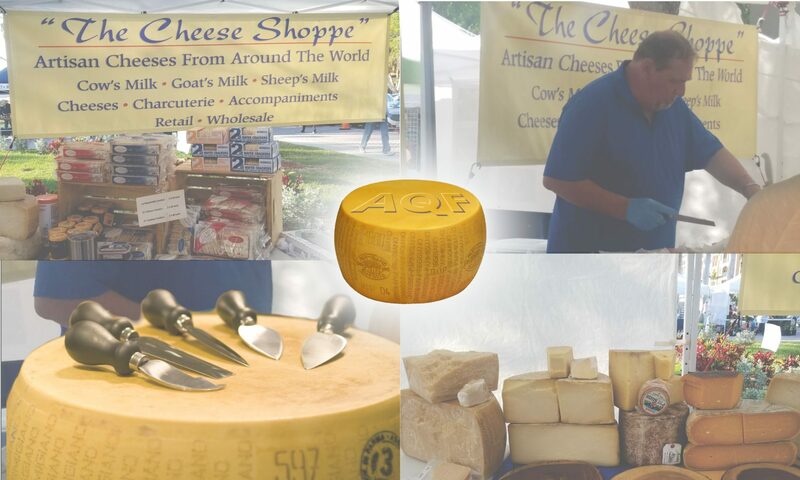 After years in business for myself, my passions for food turned into an eighteen plus year career with Whole Foods Market and expanded into world of Artisan Cheeses, Wines and Beer, Coffee and Chocolates from around the world. I was able to travel to Italy and Switzerland and watch how “the real cheese maker’s worked” and what effect they had on the customers that enjoyed Artisan Cheeses. Visiting and learning from cheese maker’s throughout the United States has allowed me to share my own passions for Artisan Cheeses with my own customer’s. I enjoy the world of Artisan cheeses as well as pairing them with fine wines and hope to share my knowledge with as many of you as I can in the upcoming years. Please visit my Retail Green Market’s and allow us serve you with the finest Artisan Cheeses available.